Is Thomas Partey Establishing Himself As Africa's Next Great Midfielder? The steady stream of sublime African central midfielders has slowed in recent years, but Atletico Madrid's Thomas Partey continues to demonstrate that he may yet be considered among the continent's finest players in his position before too long. During the last decade, Africa enjoyed the emergence of the likes of Michael Essien, Yaya Toure, John Obi Mikel, Stephen Appiah and Sulley Muntari, players who featured for some of the world's biggest sides and, with the exception of StepApp, all clinched the Champions League. Before them, Sunday Oliseh had dominated midfield battles across Europe, and the stereotypical dynamic African box-to-box operator was firmly in vogue across the world's major leagues. Latterly, however, there's been something of a dearth of world-class African central midfielders to pick up the mantle from ageing stars like Toure and Essien. Ivorian duo Jean Seri and Franck Kessie have struggled to build on the promise they showed last season, although a case can be made for Naby Keita of RasenBallsport Leipzig, who has the potential to be the continent's next great footballing superstar. However, this term, a strong argument can be made that Partey is the continent's outstanding central midfielder. In recent seasons, the Ghana international has established himself as a valuable addition to Simeone's side, although while he'd featured regularly - and has even added a Champions League final appearance to his CV - he'd never truly been a regular feature in Atleti's starting XI. Before this campaign, and since leaving Almeria in the summer of 2015, Partey had made 29 league outings for Atletico, but only nine of them have been from the start. 631 La Liga minutes and only one start in the Champions League was a disappointing return for the 24-year-old. This season, however, he's been afforded much greater influence by Simeone and has repaid the manager's faith in bucketloads. Already, across 22 appearances in La Liga this term - of which 17 have been starts - he's accrued more minutes (1474) than in the previous two seasons combined. His defensive contribution is also improved, as he's currently averaging 2.2 tackles, 1.7 interceptions and one clearance per match - all more than in either of his previous seasons with Atletico. Offensively, too, he appears to be playing with more confidence and is more willing to take players on, beat his man, and help Atleti press forward. He's also weighed in with goals too, with a running tally of three equalling his return from the previous two seasons combined. Notably, Partey netted in back-to-back games in late October and early November, hitting a late face-saving equaliser in the 1-1 home draw with Qarabag, before clinching all three points for Atletico with a 91st-minute winner as they beat Deportivo La Coruna 1-0. He also struck in both league games against Las Palmas, showcasing, as he did when he netted a hat-trick for Ghana against Congo-Brazzaville, that he boasts the technical class, off-the-ball movement and game reading to make big contributions in the final third when given license to push on. 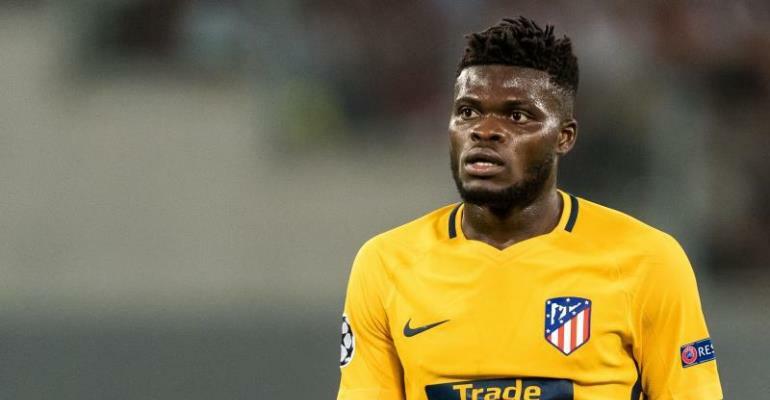 Regardless of the goalscoring showings and the match-winning interventions, however, it was a game in which he didn't find the net - last week's 2-0 victory over Athletic Bilbao - in which Partey truly demonstrated why he could be Africa's next great midfielder. This was an all-round display of thorough dominance, in which both the offensive and defensive qualities of Partey's game were evident. He won six tackles against a rugged Athletic side, made four interceptions, defeated his opponent in three aerial battles, completed two dribbles and created one goalscoring opportunity for his teammates. Partey was the fulcrum of all that was good about a fine Atleti display, and perhaps most impressively, he registered 77 passes - more than any other player on the park. Commanding midfielders who can win possession, drive forward into dangerous areas and set the tempo for their sides are much sought-after in modern football, and while he's taken his time to establish himself as a regular starter, Partey is now demonstrating that he can consistently impact matches for one of Europe's giants. No African nation has contributed greater central midfielders to the world game than Ghana, and Partey is firmly set to be the latest in a long line of outstanding central operators. Could he also establish himself as Africa's finest in his position too?